As a sports tire for winter use, the ContiWinterContact™ TS 810 Sport combines superb handling with good wet grip and safe driving characteristics on wintry roads. Stiff shoulder blocks deliver outstanding cornering stability. Its band-shaped tread structure in the center zone, similar to that of summer tires, ensures shortest braking distances on dry roads. 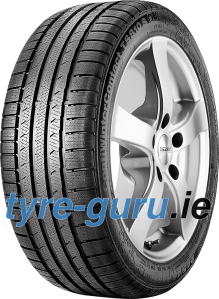 Thicker sipes with their sipe spacers on the inside of the tyre keep the sipes open when they pass through the ground contact area. This makes the sipe fill up with more snow and boosts the amount of extra grip on wintry roads. Developed for powerful medium range and luxury verhicels. Engineered in Germany, Continental offers premium tyres with optimum braking performance and safety. Outstanding performance in all winter conditions. Trusted by leading car manufacturers, including the models eg. Audi A5/A6, BMW Series 1/3/7 and Porsche Boxster/Carrera/Panamera. Outstanding performance in all winter conditions. Superb handling and braking on dry roads. Its band-shaped tread structure in the centre zone, similar to that of summer tyres, ensures shortest braking distances on dry roads. 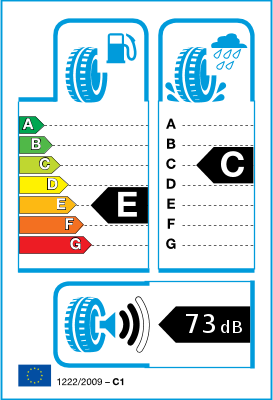 Thicker sipes with their sipe spacers on the inside of the tyre keep the sipes open when they pass through the ground contact area. This makes the sipes fill up with more snow and boosts the amount of extra grip on wintry roads.